The explosion of creativity that has resulted from the collaboration of Writers in the Schools (WITS) and The Menil Collection will come to the fore this evening. 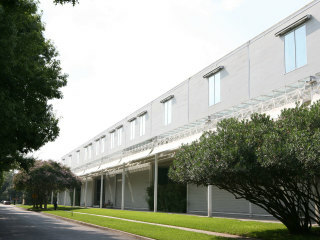 In the museum's foyer, WITS students will recite poems and prose based on the Menil Collection's exhibitions of Joaquin Torres-Garcia and Maurizio Cattelan. Also on hand will be poets from Glass Mountain, the undergraduate literary journal for the University of Houston, reading responses to the WITS pieces and these remarkable exhibitions. This evening provides insight on how writing and art can manifest as an active dialogue. Noted art critic Susie Kalil will also be present.